The first owner and designer of the remarkable building – Georgi Fingov, is an architect of national significance, and his works do not yield in mastership and actuality to a row of models of the European style of Secession. A graduate from Vienna (1893-98), when the ‘Secession’ society was founded there (1897), collaborator of the noted Austrian architects Karl König and Karl Meyreder on designs for the city centre of Vienna, co-founder of the Association ‘Savremenno izkustvo’ (Contemporary Art, 1903) in Bulgaria. Architect Georgi Fingov has been among the patriarchs of Bulgarian architecture. 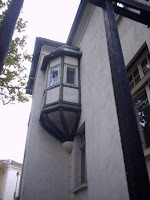 He has designed – independently or in teams – most of the striking architectural patterns of the beginning of the 20th century in the country, such as the reconstructed monastery of St. Dimitar in Euxinograd, the Customs in Burgas, most of Prince Ferdinand’s hunting huts, the evangelic church in Plovdiv, the ‘chitalishte’ (public library and theatre) in Svistov, villas for Dimitar Stanchov and General Sava Vuychev in Varna, as well as a great number of emblematic buildings in Sofia – among them the villas for Laos Funk, for Vera Drenkova (nowadays Embassy of the Rep. of Greece), for General Kiril Botjov, for General Hristo Savov, for Avram Chalyovski and Georgi Gubidelnikov; ten central city’s public schools, the Commercial and Industrial Chamber (nowadays CI Bank), the Bank of Sofia (present DSK Bank) and Commercial Bank (present Corporate Commercial Bank AD), the insurance companies of ‘Phoenix’ (nowadays National Employment Agency) and ‘Orel’ (‘Eagle’, present ‘Triaditsa’ District Administration), of ‘Targovski dom’ (Commercial Centre) and many others. 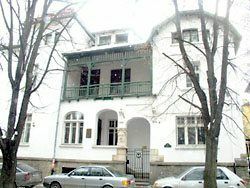 In the former elegant home at 38 Shipka Str., constructed by Fingov for his family needs in 1907, gathered furtherers of the new turn-of-the-century-style in the arts – the most brilliant Bulgarian architects, artists, sculptures, actors and writers. The interior arrangement was a manifesto of their credo. 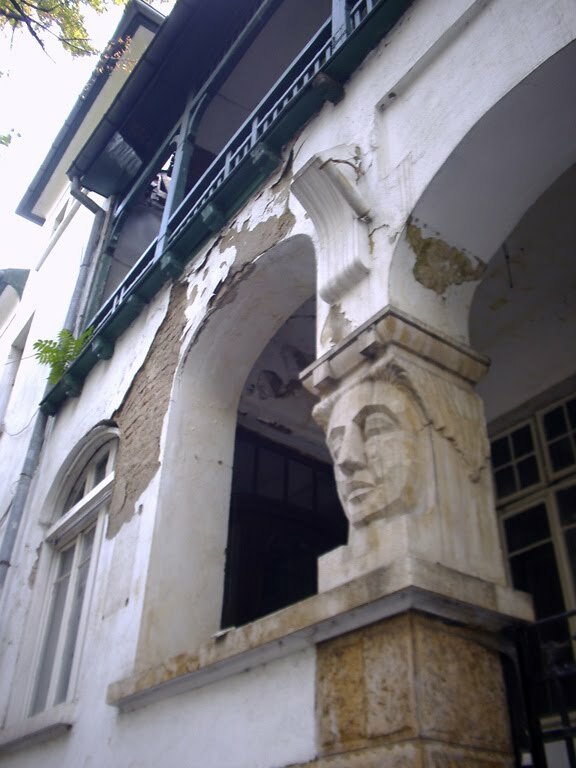 The entrance to the villa was marked by an impressive stylized stone head of a woman by the sculptor Andrey Nikolov – a graduate of Prof. A. Mercier from École des Beaux-Arts in Paris, later member of the Board of Trustees to the International Association of Artists in Rome. 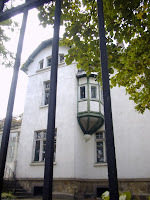 In 1913 the villa was sold to Petko Theodorov – a mining engineer, mayor of Sofia for a while, and brother of the Finance Minister Theodor Theodorov. After WW II the heirs Maria and Anka P. Theodorov defended with great difficulties the integrity of the building in the time of mass nationalisation of the so called large-scale city property and ‘mature’ (late) social;ism, when the first two floors were used consequently for a kindergarten and offices of the National Institute of Monuments of Culture. After 1989 Maria Theodorova restituted the villa and bequeathed it in favour of property restoration after her death (1995) distributing each of the three floors to the son of Simeon of Saxe-Couburg-Gotha – Prince Kubrat of Bulgaria, to the president of ‘Bulgaria’ Foundation - Yakov Gerassy, and to the attorney-at-law in the restitution case. Soon after that Th. Theodorov’s inheritress – Nadezhda Th., disputed the contention and sold the acquired property to the building company ‘Bulgarian Construction House’ Ltd. The new owner plans for maximum intensification of the build-up within the spacious yard: “Тhis design is the only opportunity for new construction in the prestigious area of ‘Doctorska Gradina’(Doctor’s Garden) in the heart of the capital city. Life in luxury and splendour in the centre of Sofia … Wait soon for proposal to buy apartments.” – thus the future “Shipka Residence” is advertised in Internet already in 2007. Although the significance of the building exceeds far the limitations of the local, it has been announced a monument of “local value” (as determined by the former Monuments of Culture and Museums Act). According to many experts this is a good juridical reason to preserve it from violation and illegal actions disturbing its integrity and authentic image, and according to the Law of Cultural Heritage that is in force since April 10, 2009. Alas, no. Already in 2008 in the winter eve a big hole was open in the roof so that the facades’ plasters were driven to deplorable condition; the interiors were plundered. Sofia Municipality required from the villa owner to repair immediately the destroyed part of the roof [order РД-20-12 of 30.01.2009, according to Spatial Development Act - art. 195 (1), (5) and art. 196 (3), (5), (6)] and caused entire building inspection whose conclusions for considerable changes and damages, endangering the integrity of the cultural heritage site would provoke preparation of a design for conservation and restoration to be approved by the then National Institute of Monuments of Culture. The control on fulfilment of that order was assigned to architect Petar Duhlinski, Head of ‘Operative Activities’ Department within Sofia Municipality [http://sg.stroitelstvo.info/show.php?storyid=689539]. The check-up results were not released. But the appetites did not stop. In August 2009 quite an ambitious investment intention for superstruction and addition of a new volume in the yard was introduced to ‘Architecture and Town Planning’ Department within Sofia Municipality and announced to public at the ’Sredets’ District Administration at the height of the summer season – as informed engineer Margarita Guteva, the ‘Sredets’ district mayor [interview, NP 24 Hours, 21.8.2009, http://www.imot.bg/pcgi/main.cgi?topmenu=4&leftmenu=1&act=3&f1=2009&f2=08]. The proposal to change the building-development plan and a working spatial-development plan of the said lot, including underground parking area, three storey terraced superstruction of the villa facing Shipka Str. and a five storey high volume in the yard eastward to Vassil Aprilov Str. were assigned to Architecture, Interior and Design Studio. According to that design several almost century-old trees in the garden are condemned, but Fingov’s masterpiece is suppressed by the new volumes – distinctive stylistic peculiarities are sacrificed, such as the roof and memorisable silhouette; the charming oval wooden bay-window on the East is lost in a deep niche; the intimate aesthetic influence is suppressed. The build-up character, the silhouette along Shipka Str. and the atmosphere of the quarters around its crossroads with Vassil Aprilov Str. are disturbed. The newly suggested volume exceeds with two storeys the opposite building of ‘Vassil Aprilov’ School (by architects Georgi Fingov, Nikola Jurukov, Dimo Nichev, 1911). We face a flagrant lack of respect to a cultural heritage site and a model of the Secession style, once a centre of artistic meetings and inspiring discussions. The Villa Fingov is facing real danger of serious violation of its integrity and visible loss of its authentic appearance. The plans in question have passed without obstacles the legally required stages, as follow: - already in May 2009 they have been cleared personally by architect Georgi Ugrinov, the Head of the National Institute of Protection of Immovable Cultural Values (until April 2009 National Institute of Monuments of Culture); - they are introduced to ‘Architecture and Town Planning’ Department within Sofia Municipality; - on September 5, 2009 they are re-sent for public announcement to ‘Sredets’ District administration; - at the end of September 2009 the plans are re-sent again back for inspection to ‘Architecture and Town Planning’ Department. If this proposal is realised, a Secession style emblematic model in Bulgarian architecture will be annihilated; - the city’s architectural and cultural memory will be impaired; - the desire of the last direct heir and building owner will be suppressed. For a serial time the respect to cultural heritage sites in the capital city of Sofia will be drastically violated – This outrageous practice for each civilized country, is directed by the institution which has been in charge of the protection of Bulgaria’s cultural memory, namely the nowadays National Institute of Immovable Cultural Values Protection. This is just the situation, qualified according to cultural heritage sites’ degree of jeopardy as “real danger of damage infliction, vandalism, destruction or of serious disturbance of their integrity due to … visible loss of their authentic appearance” by the Cultural Heritage Law [Chapter IV. MATERIAL CULTURAL HERITAGE, article 49 (2в)]. It is a deep secret how the Head of the National Institute of Immovable Cultural Sites Protection, architect Georgi Ugrinov, is still keeping his position after having admitted so many drastic infringements of the Cultural Heritage Law. The plans for the Villa Fingov approved with his signature do not follow the clauses for special planning-protection areas of immovable cultural heritage in this part of Sofia’s Master Plan and its recent amendment as protected territory of group/ensemble immovable cultural heritage sites. According to Article 80(4) of the Cultural Heritage Law, the National Institute of Immovable Cultural Values Protection should not approve spatial development schemes and spatial development plans, special rules and standard specifications to them, which have not been in conformity with legal regimes for protection and management of immovable cultural heritage sites. For the area where the property in question has been located, there should be regimes, special rules and standard specifications already elaborated [Art. 78 (point 1 и 3), Art. 81]. According to Spatial Development Act, Chapter ІІІ – SPATIAL DEVELOPMENT OF SPATIAL-DEVELOPMENT AREAS AND LOTS, Section I. General Requirements to Spatial Development, Art. 13 (6), for territories or parts thereof that are under cultural and historical protection, establishment of special rules and standard specifications referred to shall be mandatory. The said rules and specifications shall be adopted by the National Expert Board to the Ministry of Regional Development and Public Works, on a proposal by the competent Municipal Council prior to the approval of the relevant spatial-development plans. The said Expert Board shall mandatory include representatives of the National Institute of Immovable Cultural Values Protection (or the Ministry of Culture) and respectively shall be approved by an order of the Minister of Regional Development and Public Works. The said order shall be unappealable and shall be binding on the municipal authorities concerned. To demand so that the Proposal for change of the building development plan and the working spatial-development plan for the lot with the Villa Fingov at 38 Shipka Str. introduced to the ‘Architecture and Town Planning’ Department will respect the statute of a group immovable cultural heritage site in conformity with the Master Plan of Sofia and Sofia Municipality Planning and Development Act in force. 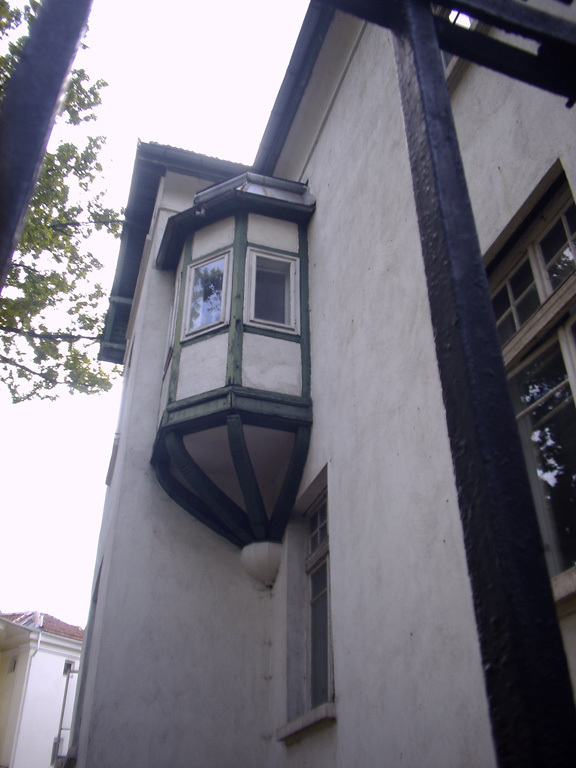 a model of Secession style architecture in Bulgaria – the Villa of architect Georgi Fingov. tо commit himself personally to preservation of the Villa of architect Georgi Fingov at 38 Shipka Str. in Sofia in its authentic appearance by search for alternative way of its adaptation and socialisation in compliance with the world-wide practice for conservation of peoples’ cultural memory. To start immediate elaboration of specific regimes, special rules and standard specifications for the separate territories/areas of cultural and historic heritage in Sofia Municipality. To join this protest for defending cultural values of our country. Публикувано от граждани за София в 12:42 ч.
Бях свидетел как изхвърлиха и изпочупиха вратите и лампериъта на тази къща. Доколкото знам интериоррът също е дело на арх.Фингов и би следвало и той да е със статут на паметник на културата. 7 юни 2011 г., 9:16 ч. 19 октомври 2011 г., 10:16 ч.
I was the last resident of Shipka 38. The new owner used the inadequacies of the Bulgarian legal system to purchase the property and upon entering the legendary house turned if into a "hunted house" causing a self distruction to skip requirements and conditions set by the law for Architecture Monuments. I support the public outcry and urge the Mayor of Sofia to take a personal action on the matter. 12 декември 2012 г., 13:04 ч.